22 January 2019, Bonn/Singapore – UK Research and Innovation (UKRI) is pioneering an ambitious new approach to tackle some of the world’s most pressing challenges through a £200M investment across 12 global research Hubs. Over the next five years, the 12 interdisciplinary Hubs will work across 85 countries with governments, international agencies, partners and NGOs on the ground in developing countries and around the globe, to develop creative and sustainable solutions which help make the world safer, healthier and more prosperous. One of the Hubs will focus on river deltas, acknowledging the critical role they play in achieving the SDGs. River deltas comprise just one per cent of global landscapes yet support over half a billion people. Deltas are vital socioecological systems and global food-baskets, but the landscapes and the livelihoods of those who rely on them are under threat from human exploitation, environmental degradation and climate change. Focusing on three deltas in Asia, this Hub will operate on a model of equitable partnership with the delta-dwellers and the research community in Viet Nam, Bangladesh and India, working together with UK and global partners to develop new knowledge and policies. The aim is to safeguard delta futures through more resilient communities and sustainable development. The GCRF Living Deltas Hub will work with delta-dwellers and policymakers to develop solutions that can help better realize the UN Sustainable Development Goals (SDGs) in delta-specific contexts. The right monitoring frameworks and an attention to SDG interactions that are taking place in river deltas are key to achieving the SDGs in the highly dynamic delta environments. “With an improved, more delta-specific set of indicators, the sustainability of these complex socioecological systems can better be captured, and will help to make improvements for the most marginalized and vulnerable groups and ecosystems,” remarked Dr. Sebesvari. 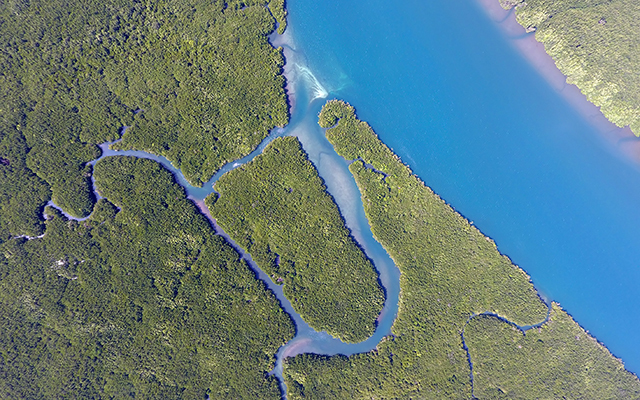 UNU-EHS has decade-long research experience on river deltas, and will cooperate with the Newcastle University, one of the world-leading centres on heritage and culture studies, as well as with a group of local partners in Asia. Specifically, UNU-EHS will work together with stakeholders in the Mekong and Red River Deltas in Viet Nam and in the Ganges Brahmaputra Meghna Delta in Bangladesh and India for the next five years. The main partners include Bangladesh University of Engineering & Technology (Bangladesh), Newcastle University (UK), Center for Water Resources Conservation and Development (Vietnam), Jadavpur University (India), Indian Institute of Engineering Science and Technology (India), Asian Institute of Technology (Thailand), SEI Asia – Stockholm Environment Institute (Thailand), York University (Canada) and University of Glasgow (UK). UNU-EHS conducts research on risks and adaptation related to environmental hazards and global change. The institute’s research promotes policies and programmes to reduce these risks, while taking into account the interplay between environmental and societal factors. Research areas include climate change adaptation by incorporating insurance-related approaches, environmentally induced migration and social vulnerability, ecosystem-based solutions to adaptation and disaster risk reduction, and models and tools to analyse vulnerability and risks linked to natural hazards, with a focus on urban space and rural-urban interfaces. UNU-EHS also offers the joint Master of Science degree programme “Geography of Environmental Risks and Human Security” with the University of Bonn and hosts international PhD projects and courses on global issues of environmental risks and sustainable development. UNU-EHS is based in Bonn, Germany.